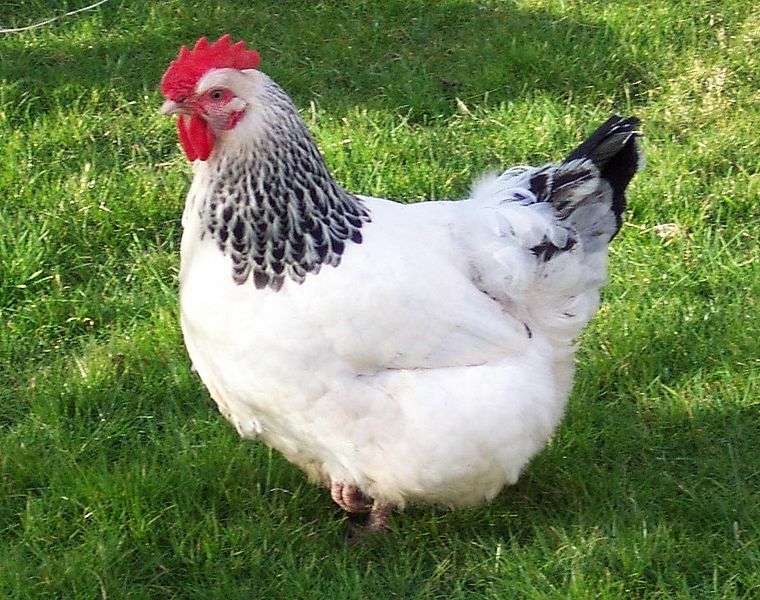 The Sussex is an ideal laying breed as they produce a high-yield of eggs, even going so far as keeping up egg production into the winter months, though at a slower pace. 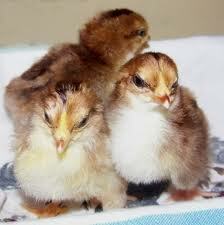 They also make for a good show bird as their easy-going temperament makes them ideal for beginning fanciers. The Sussex is a very calm breed also known to be quite friendly. 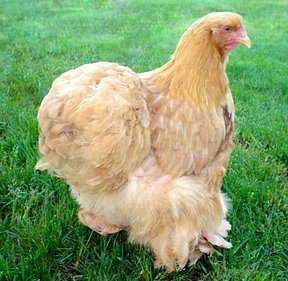 They are an extremely tame breed of chicken, making them ideal for those looking for something easy to maintain. 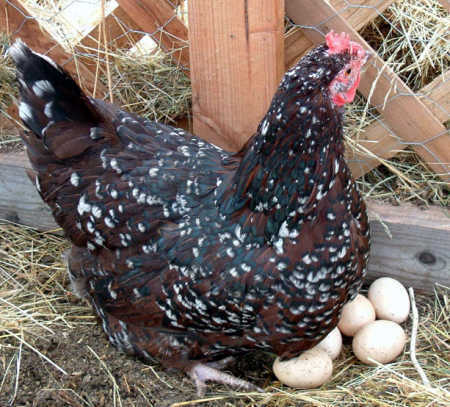 The hens act as very excellent mothers, becoming broody when the need arises. 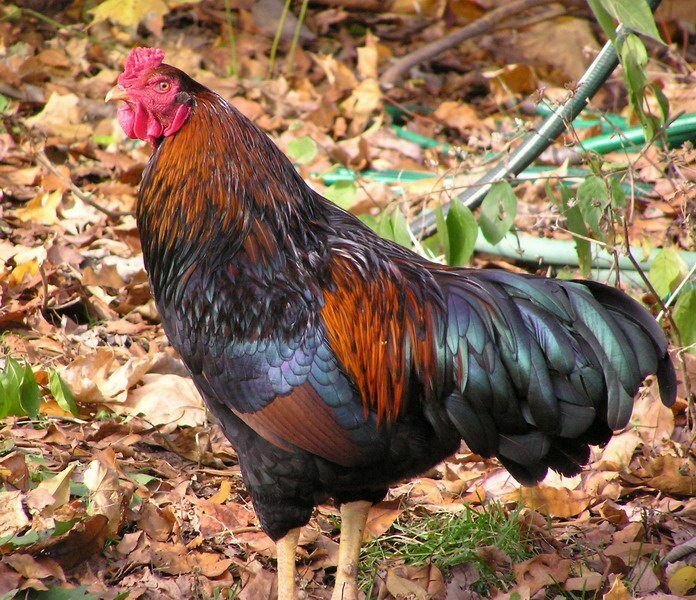 Since the Sussex is so calm at all times, even around other Sussex, it is completely manageable to have more than one roosters living together in the same space without conflict. The Sussex is a heavy bird with a broad, deep breast and a rectangular body shape. Their legs are a pale, pinkish white color while their ear-lobes are bright red, same as their medium-sized single comb. They stand medium-high and have tails that have low carriages, spread well with medium long main feathers within the tail. The Sussex is a rather simple breed to upkeep due to their calm nature. They aren’t keen on flying, so providing them with a wide-open space to roam without a roof or high fence is not a problem. Even better, because their temperament makes them lack aggression even between roosters, keeping an entire flock together is no trouble at all. The Sussex breed comes from the South-East of England during the beginning of the nineteenth century. 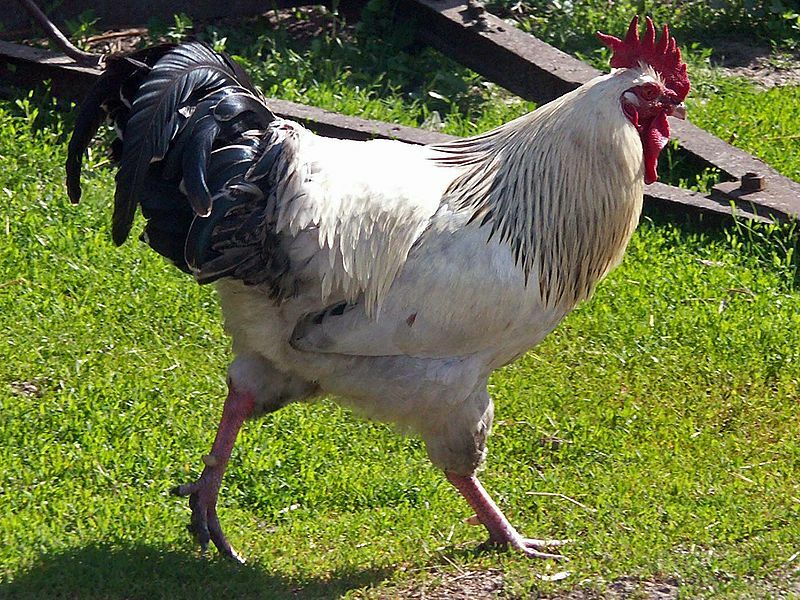 The Dorking and Brahma come into play as breeds used to originate the Sussex, among other large and heavy breeds, mostly sticking to non-standard country fowl. The Sussex has never been the most popular breed, nor has it ever been completely ignored. It just sort of exists in the middle ground of breeders.